Dragon Con 2018 Parade photos and recap – AiPT! It’s Nerd Pride mixed with the biggest Nerdy Gras Second Line ever. 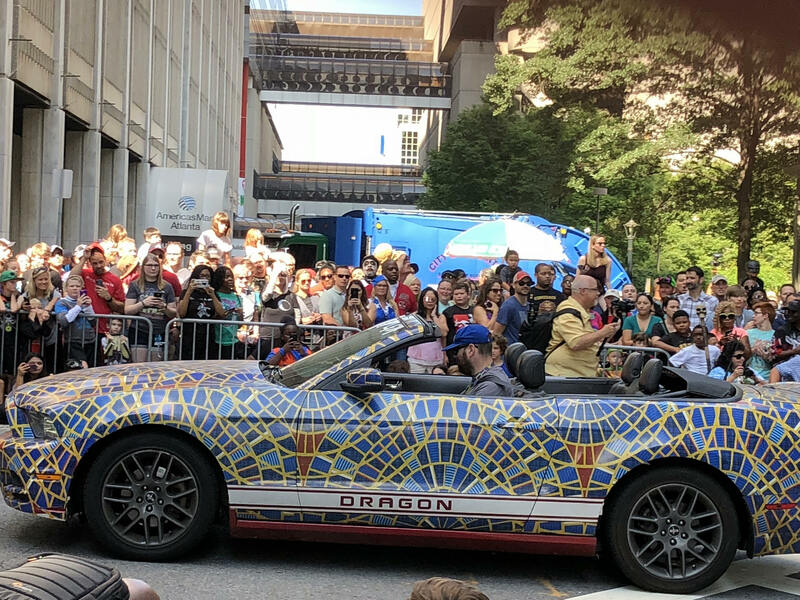 If you are an Atlanta resident (that includes the 14 counties surrounding the city itself — don’t ask, it’s an Atlanta thing) or have attended or even heard of Dragon Con, you know about The Parade. It deserves the capital letters. When close to 100,000 people descend on your city in a mad scrum of fandom and then they parade it out in front of you like it’s Nerd Pride mixed with the biggest Nerdy Gras Second Line ever, you turn out. Costuming, above all else — except, perhaps, alcohol consumption — is the biggest draw at Dragon Con, with each year topping the rest in terms of creativity, accuracy, and sheer spectacle. AiPT! was there, right in the intersection of Peachtree Street and John Portman Boulevard to give you an up-close look at the 2018 Dragon Parade in all of its glory.